Here’s the last one. Of course, then I’ll owe you one on Sunday as well. 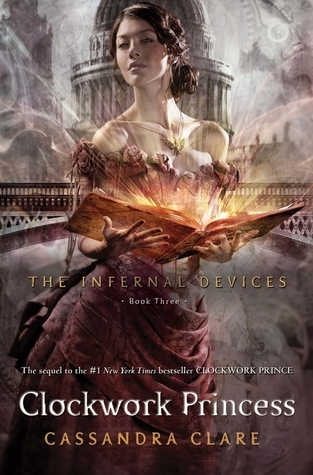 Clockwork Princess by Cassandra Clare – I borrowed this as an e-book from the Boston Public Library. This is Infernal Devices #3. I really didn’t have to wait very long for this one. Clare did an excellent job of wrapping up this trilogy. Obviously the good guys triumph. There are continued love stories. People die. Others live forever. I’m a little sad that there won’t be any others. It’s not great literature, but it is entirely enjoyable. I’m giving this 4 stars. 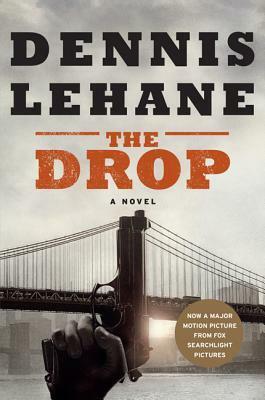 The Drop by Dennis Lehane – I borrowed this as an e-book from the Boston Public Library. I love Dennis Lehane. This book was really good. It’s pretty short. It reads somewhat like a screenplay. It is easy to picture the action as well as the setting. If you enjoy a good crime novel, I definitely recommend this one. I’m giving it 4 stars. 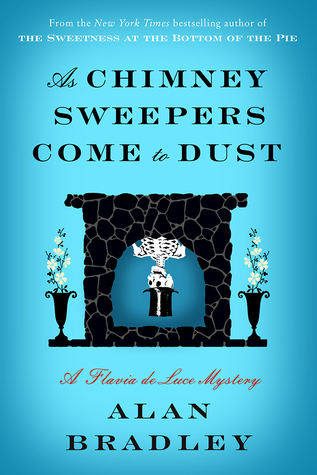 As Chimney Sweepers Come to Dust by Alan Bradley – I received this as an e-book from the publisher via Netgalley. This is Flavia de Luce #7. I love these. I was really excited to get this before it was published. The downside is that I have to wait even longer for the next one. In this installment, Flavia has been banished from Buckshaw and sent to boarding school in Canada. On one hand, this means that none of the best characters, aside from Flavia, appear in this one. On the other hand, an entire cast of new characters are introduced. Flavia goes from a mostly unsupervised existence to a structured environment. It is quite an adjustment. Plus there is a dead body in the chimney. It is excellent. I’m giving it 5 stars. The Miniaturist by Jessie Burton – I borrowed this as an actual book from the Boston Public Library. I wanted to read this because of the cover. It turned out to be even better than anticipated. It begins with Nella arriving at the home of her new husband. She is greeted rather icily by her new sister in law and her husband is not there. When he presents her with a cabinet replica of their home, she hires a miniaturist to furnish the cabinet. The miniaturist is rather elusive and sends items that Nella hasn’t requested. 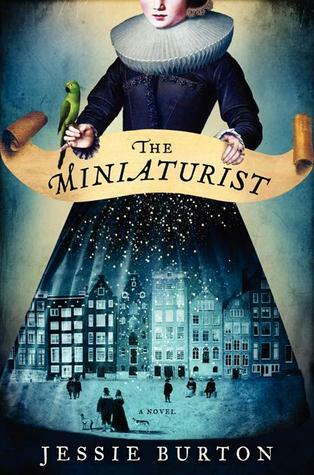 The miniaturist foreshadows events that will cause the secrets of the household to be revealed. Anyone that enjoys historical fiction will like this. This is getting 5 stars. 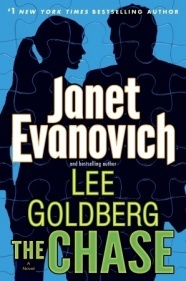 The Chase by Janet Evanovich and Lee Goldberg – I borrowed this as an e-book from the Boston Public Library. This is Fox and O’Hare #2. I devoured this. I can’t say enough about these. They are funny and completely enjoyable. I definitely recommend them all. I’m giving this 4 stars. 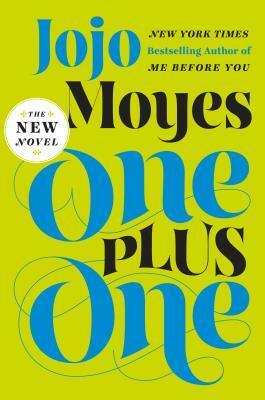 One Plus One by Jojo Moyes – I borrowed this as an e-book from the Boston Public Library. I read this in a day. I couldn’t put it down. A single mom, a math genius daughter, a bullied teen step-son and a farting dog need to get to the Math Olympiad in Scotland. They have no money and no way to get there. I’m not giving it all away. I thoroughly enjoyed this, despite occasional tears. This one is getting 5 stars. This entry was posted in What I Read and tagged Alan Bradley, Boston Public Library, Cassandra Clare, Dennis Lehane, Flavia de Luce, Janet Evanovich. Bookmark the permalink.